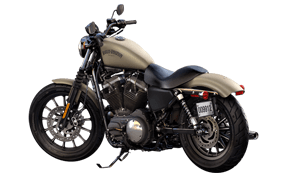 Harley-Davidson started out in a small shed in Milwaukee, Wisconsin, back in 1903 and at present, it is one of the most iconic motorcycle manufacturers in the world. Since 2000, Harley-Davidson has worked hard to retain its image as an American icon while at the same time reaching out to a new generation of bikers. 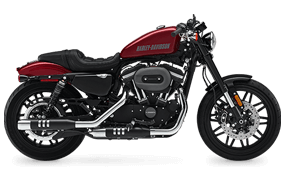 Edgier makeovers of classic styles have helped produce the Iron 883, the Street 750 and the Forty-Eight which suits the Indian motorcycle lovers the best. To celebrate its heritage, a new Harley-Davidson museum opened in Milwaukee in 2008 and within the following two years, streamlining of the business followed. Harley Davidson began its journey in India in 2009. It had set up an assembly line in the country and is dedicated to serving Indian bike enthusiasts with its luxurious sturdy cruisers. Optional Coverage such as personal accident covers for the rider, Zero Dep cover and etc. One need to pay the extra cost for the optional coverage. A large number of network garages where you can get cashless settlements. Personal accident coverage to the Driver and the owner. Roadside assistance is provided to customer in case of accident of the vehicle. Loss or damage caused by natural calamities. Total loss because of fire, explosions or an act of terror. Total loss because of theft, burglary, strike etc. Personal accident cover is also offered to the customer. 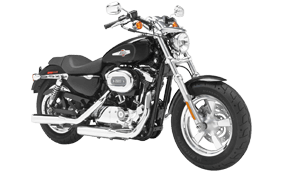 At the Harley-Davidson Insurance Services, the customer will be provided the service by the trusted motorcycle insurance agency that knows all about the Harley Davidson motorcycle lifestyle. One will experience best industry-leading services, coverage, and support. It’s why riders should trust the insurer to help and protect them and their bikes. 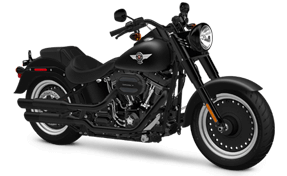 Repair is done only by the well trained and well-equipped technicians with all knowledge of Harley Davidson. 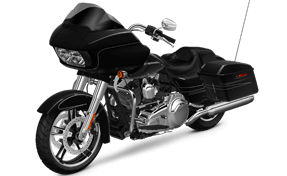 The garage will supply your bike with the Harley Davidson genuine parts and accessories after repair. Hence, the service and protection that one get with insurance is reliable and reputed. This is the perfect iconic bike. It has a feature like a cast fuel tank medallions with classic styling. The six-speed transmission of the bike provides it smooth and quiet shifting. It has the electronic sequential port fuel injection as its fuel system and the engine is powered by 1585 cc air-cooled twin cam engine. 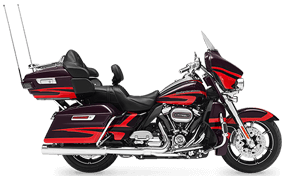 The Dyna series of cruiser has two models with each having one Standard version, 1 fuel type, and 1 engine and transmission option. 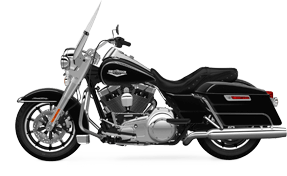 The new for 2012 Dyna Switchback was the first model in the range to break the tradition of narrow front forks. It is offered at a different ex-showroom price. These are known as more traditional Harley motorcycles. The Softail family places importance on heritage and tradition. 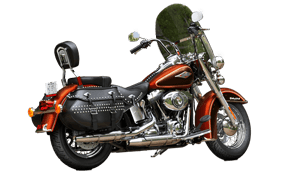 These motorcycle series have 4 models and with each having a Standard version of same engine capacity, manual transmission. The ex-showroom price for each model is different. Some models incorporate the traditional Springer front end for an authentic look. The first ever liquid-cooled Harley-Davidson motorcycle, designed to compete against more performance-focused muscle bikes. This motorcycle has one version named Nigh Rod Special with 1247 cc engine and Manual transmission. The 60-degree V-Twin engine was developed in partnership with Porsche, with inspiration taken from the VR1000 race bike. 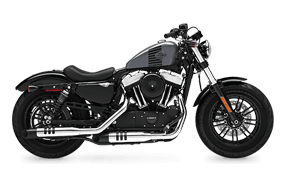 Harley-Davidson is perhaps the best known for its stylish cruisers, boasting the Street Glide, Ultra and Heritage Softail Classic amongst its range. Hence it is not easy to maintain the cost of even slightest repair of the bike during any mishap without burning hole in the pocket. That said, you want your motorcycle protected, along with your pocket and if something happens, you want the best motorcycle insurance to help get you back on the road as quickly as possible. 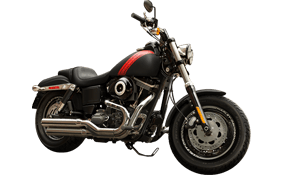 With the perfect bike, insurance one will not only save money but, he/she will also experience customer service and claims support during any mishap with the Harley Davidson on road.